The state government has denied lowering the minimum price limit or giving discounts for foreign purchases of properties in Penang. 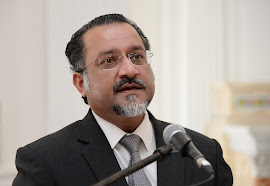 State Housing Committee chairman Jagdeep Singh Deo said the minimum threshold at RM1mil for stratified high-rise property and RM2mil for landed property would remain. There is also a state approval fee of 3% over the purchase price. He, however, said the Penang Real Estate and Housing Developers Association (Rehda) had asked for a revision of the current minimum price for such property purchase. “They wanted the price for stratified property like condominiums to be lowered to RM800,000. “They also requested for the 3% levy on all foreign property purchases to be reduced. “But I wish to reiterate that no decision has been made on such matter. “We only received the proposal during the Penang International Property Summit recently,” he said during a press conference at Komtar yesterday. Jagdeep was responding to a Malay daily, which on its front-page report on Monday, claimed that the state had given discounts on foreign property purchases. Jagdeep labelled the report as not true and inaccurate. According to a news portal, it was learnt that Rehda had made the request due to ‘economic uncertainties’ that are hampering the property market. In 2012, the state government introduced the measure which prevents foreigners from buying landed property of less than RM2mil on the island and RM1mil on the mainland.